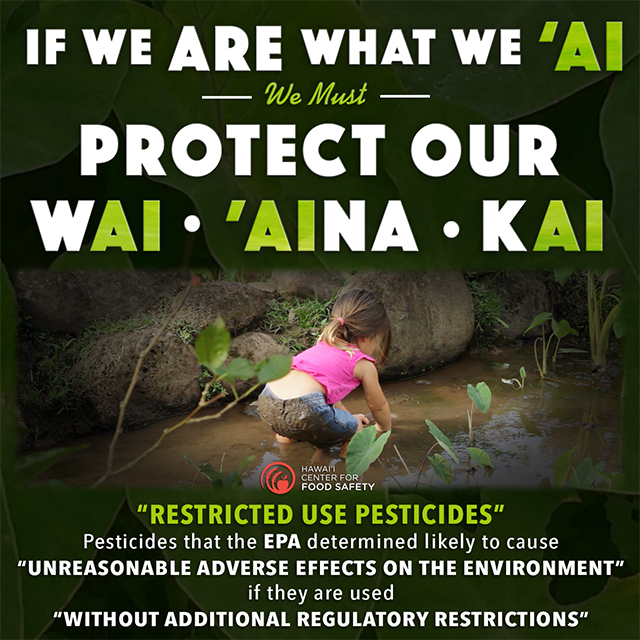 We are a statewide coalition advocating for the protection of our keiki and kupuna from the dangers of toxic pesticide drift. 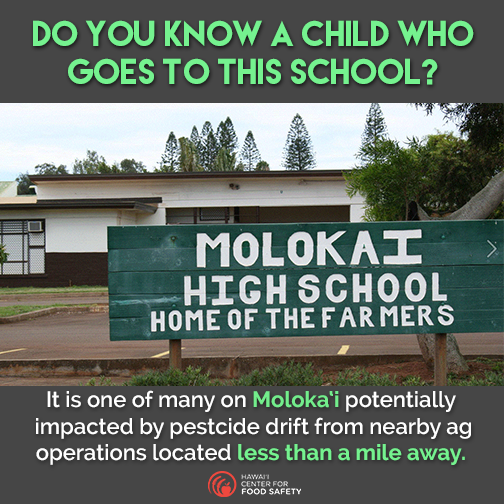 Our mission is to Protect Our Keiki from the serious health impacts resulting from unnecessary pesticide exposure. 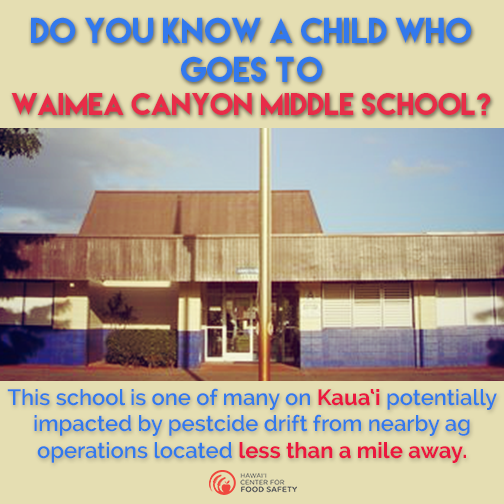 Children, the elderly, and other sensitive residents have no choice but to live, work, and commute daily in close proximity to areas where restricted use pesticides are being sprayed. 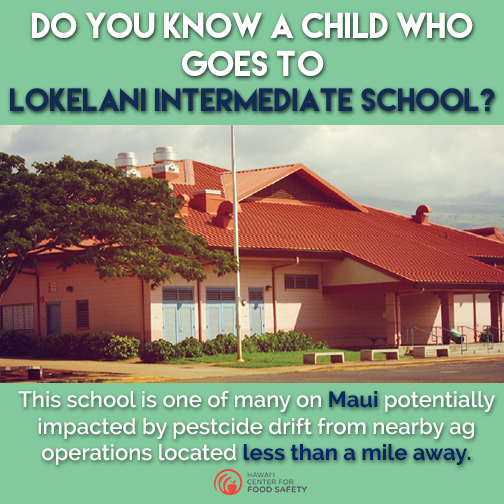 Children can be exposed to pesticides applied on school grounds, pesticides that drift onto school grounds, or pesticide residues. 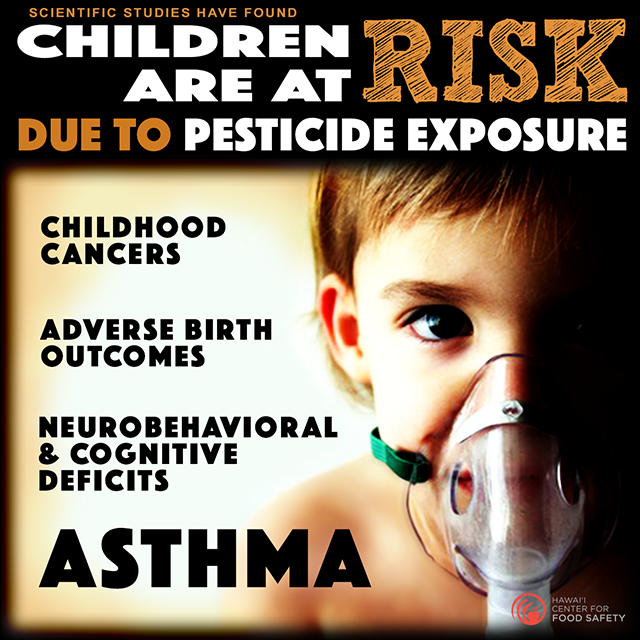 Of greatest concern are restricted use pesticides, which scientists have definitively linked to developmental delays in children, and other toxic exposure to pesticides during fetal, neonatal, and infant life that may disrupt critical development processes. Life-long pesticide exposure for those living in exposed areas has been linked to long-term health effects, including cancer and other serious diseases, decreased cognitive function, and behavioral problems. Get the facts about the direct, indirect, and cumulative impacts on public health due to long-term intensive use of pesticides. 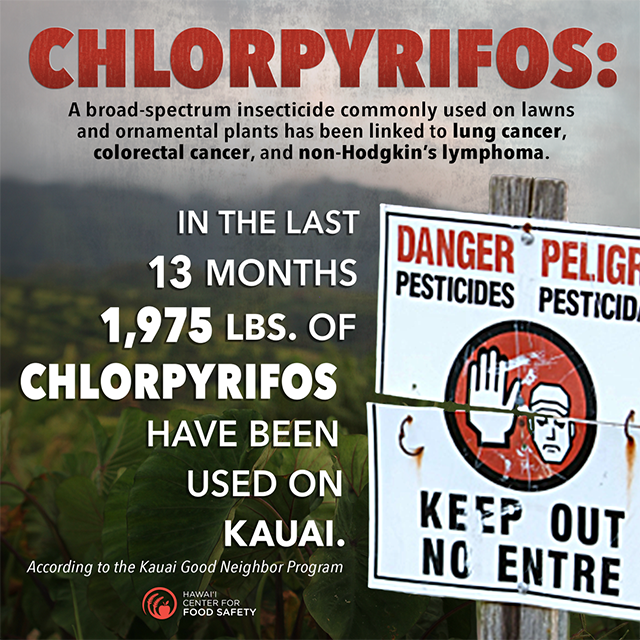 Get the up to date news articles, videos, and general coverage of pesticide issues in Hawai'i.